Bernie’s Philosophy of Science eBook is Alive! So what is it about, you may well ask? 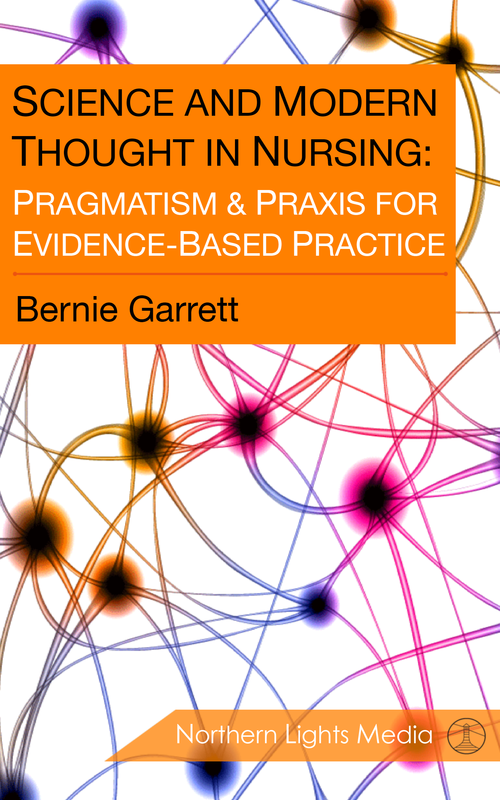 In the book I present a pragmatic approach to the philosophy of health science (particularly nursing) that underpins evidence-based practice (EBP), including an exploration of research methodologies. It covers the history of scientific inquiry and foundational principles underpinning science as applied in the field of professional healthcare. I have used some provocative arguments to challenge some of the constructivist and postmodern approaches to nursing knowledge. There is a chapter exploring some key examples of non-science, pseudoscience, and simply bad-science that continues to pervade modern healthcare research. Basically, if ever you want some good arguments to challenge postmodern or relativist philosophical positions in healthcare, this book should provide you with plenty. It also includes an updated version of our good science detection kit, and an excellent foreword by Roger (although I fear endless claims of “it must be your round” when I am next in the UK as a result of that). The book is available from a range of ebook sellers and I will update the list as they put it out ( see details on ebook readers at the end of the post) . You can search for it by my name, the title, or the ISBN: 9780991984602. It has been an interesting journey on the road to publication, and the book should be found at around $9 (which was the price I agreed; although, strangely some vendors seem to have added a few dollars, so shop around). I have had some excellent reviews and some dissent with the ideas presented (but that is always the way with controversial issues). Anyhow, I hope people will keep an open mind while they read it and enjoy the book, finding something of interest. Do let me know your thoughts on the book in the blog. I welcome all constructive criticism, ideas, commentary and feedback. I am still finding the occasional typo now and again too, so apologies, I will amend, but hey it’s only $6! A publicity flyer PDF for the book is available here. If anyone has any trouble finding a copy, or format issues (I can supply any ebook format), please e-mail me; likewise any educators who would like an inspection copy. Kindle Reader: displays fine, but loss of coloured fonts, lines and formatting of titles, in most versions. Readers may need to resize text in their Kindle to get optimum page layout. Sony Reader: Displays fine- but the application is a bit slow to run on some PCs . ePubReader: displays Ok but format display issues with chapter titles (does not follow font size coding). This application also needs Firefox installed and works through it. Aldiko EReader: Not tested on this Android platform but uses epub standards so should be OK. Let me know if anyone has tested it on this reader.